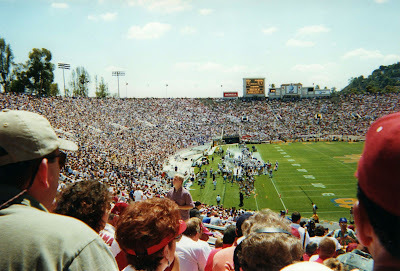 On Sept. 2, 2000 I was one of 76,640 who filed into Rose Bowl stadium to watch the Alabama Crimson Tide play on that famed field for the first time in more than a half century. It is also the only time the Tide has played in the historic venue during a regular season game. The game pitted No. 3 ranked Alabama against an unheralded UCLA squad helmed by Bob Toledo. 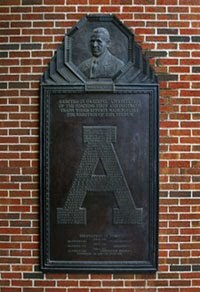 When Freddie Millons returned a punt 71 yards for a touchdown in the first quarter, it seemed to be like the kind of day everyone wearing Crimson expected – a repeat of Alabama last game in Pasadena, a 34-14 trouncing of USC in the 1946 Rose Bowl. Instead, UCLA responded with three touchdowns before Alabama could muster its first offensive scoring drive. The Bruins went on to claim a 35-24 victory. The last time the Tide had lost in the historic venue was almost 62 years prior when Cal claimed the victory in the 1938 Rose Bowl. The Crimson Tide would go on to a 3-8 season that proved the final stanza of the Mike Dubose era in Tuscaloosa. UCLA made it to the post season but fell to Wisconsin 21-20 in the Sun Bowl. I was there as well with my brother and some friends. It was a nightmare of a game. Dubose was a failure.